Love Heart Chalkboard. 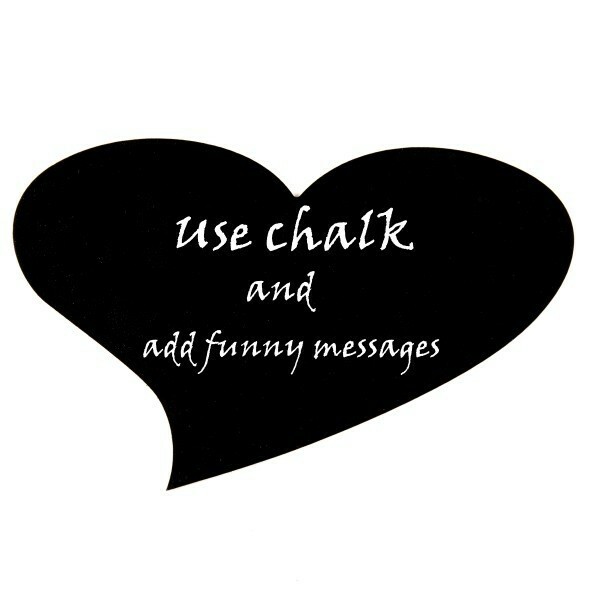 Use with chalk and add any funny message you like. Use time and time again with as many hilarious massages as you can think of.